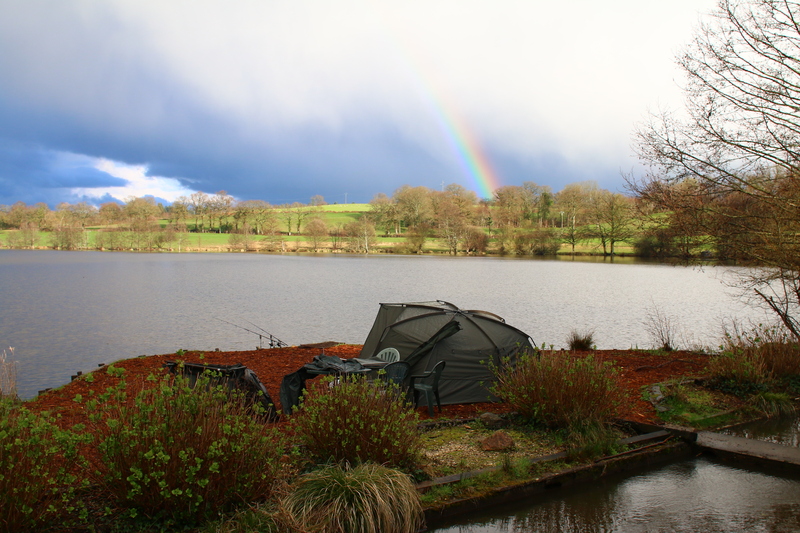 Winter seemed to go on for longer this year and although that’s never held me back from getting the rods out I was just longing for some warmer days and to see the countryside turning from drab browns to vibrant greens. For me, spring is the best time of the year when everything is waking up and coming back to life and as carp anglers we get to see it happening right in front of our eyes. It can be a strange time of the year to organize trips away though. Conditions can be unpredictable and so can the fish. It can almost be like flicking a switch, one day the fish can be lying dormant and the next they can be up and about looking for food. 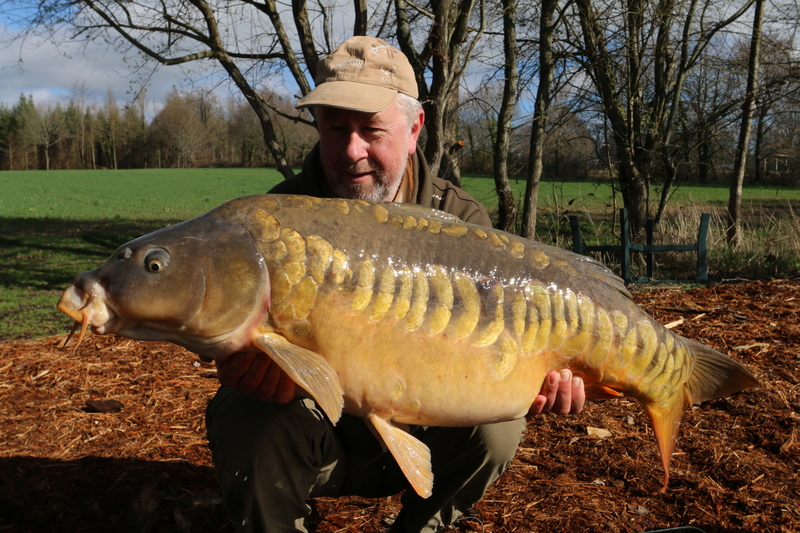 After fishing the lovely Etang de Brigueuil a year earlier I knew that we would be back for more, it was just one of those places that had a good feeling about it and both Joan and I were keen to return. 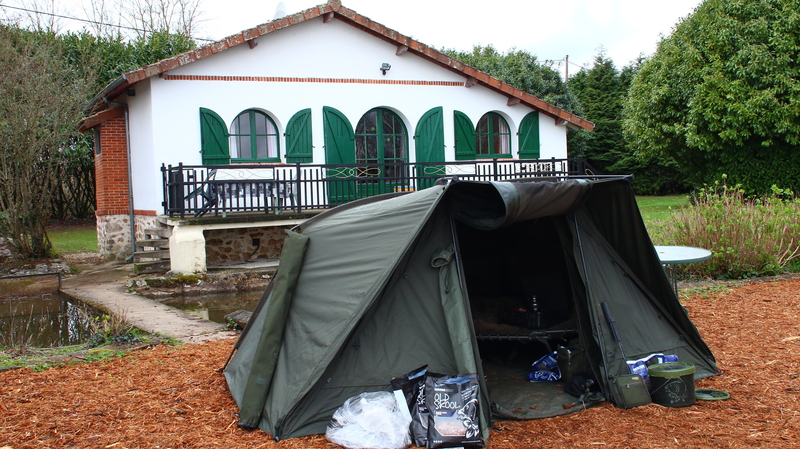 I figured that early in the year would be the ideal time to go, not so much because of the carp but more for us as we would be booked in to the Chalet swim, which has all of the comforts and facilities to make it a pleasant stay whatever the weather could throw at us! We were a little late in arriving, the sat nav somehow decided to send us in to the middle of a field! However, we did finally arrive and owners, Tracey and Andy were there to greet us as were Paul and Carmen Armfield who take care of the bookings on there. The news was good, the previous week had fished well and in particular down our end of the lake, which had produced a number of fish to over 60lb! So the carp had certainly woken up and I just hoped that we hadn’t already missed the best of it. We all walked across the road to what was to be our home for the week and as if by magic straight away I saw the unmistakable shape of a decent fish flop out of the water and a short time later there was another definite show about 70 yards to the right. I had a good feeling about this and couldn’t wait to get the rods out! Once everyone had gone I could start work. It was all fairly straight forward really, I had to put a rod where each of the fish had showed but on previous experience the area along the dam wall to the right of the swim was normally the most productive area and so my other two rods were placed along there, one next to the sluice where the depth goes down to about 8ft and the other about 20 yards out from the sluice in 6ft. Baits were all snowmans or double bottom baits incorporating the famous Scopex Squid. 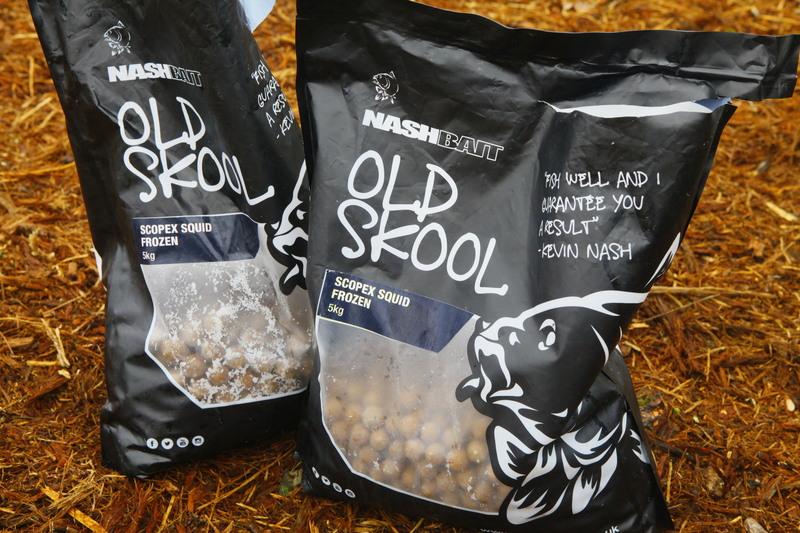 It was always one of my top Nash baits and I was so pleased when the news came through that it was coming back in to the range under the Old Skool banner. Perhaps the biggest surprise was that I found myself with the whole lake to play with, there was literally no one else there, although one guy was booked to arrive in swim 1 at the other end of the dam wall. 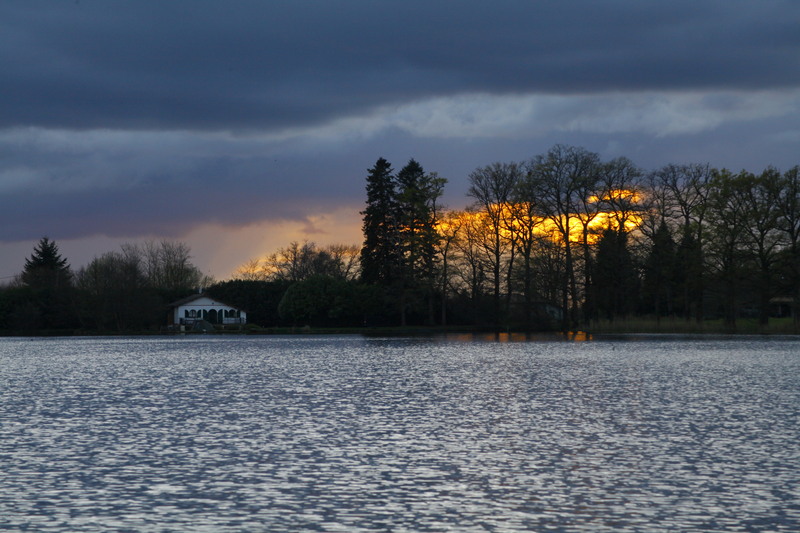 It always amazes me that while some lakes are almost impossible to get on there are little gems like Brigueuil that go under the radar – but I could live with that and I looked forward to a quiet and peaceful week. Tracey arrived with the first of her fantastic meals and I retired to the Chalet with the sounder box to have dinner with Joan. Sitting there in comfort with the TV on it was easy to forget about the rods just outside, but I was jolted back to reality when the sounder let out a single bleep – followed by an absolute screamer! It was now dark and in my haste to get inside for dinner I’d forgotten my head torch. I just headed for the little blue light and the alarm, which sounded in pain by now! It’s all basically open water so there was no panic and it was really nice to feel the solid lunge of a good fish on the other end. The fish kited towards the dam wall and I just let it go on its own way, thinking that there was no danger there, until everything came to a grinding halt! It had found sanctuary somewhere out there and to cut a long story short, after about twenty minutes I ended up retrieving a large branch with my hook in it – and no carp! Gutted, and if I’d just kept in a bit more control the fish would’ve been mine. But it was gone and all I could do was get the rod back out and try again. It was just getting light the following morning when the same rod signaled another take. It wasn’t a screamer like the first but just a few bleeps with the line tightening up, but sure enough there was one on there. I wasn’t about to mess this one up so I gave it my full concentration. Actually this one kited left rather than right and apart from having to do a bit of cats cradle with the other lines it was all fairly stress-free and with a sigh of relief I slid the net under the first fish of the trip! I looked around at the chalet and the curtains were still closed so I thought I’d just sort most of it out and rest the fish in the sling for half an hour until I could wake my chief photographer. It was a nice high-backed mirror with a single large scale on its flank and weighing 41lb. A decent enough start and it certainly made up for the earlier loss. It was a lovely spring morning, very calm and misty but for a change there wasn’t a chill in the air. It looked like the sort of morning that more action was bound to come but it was all quiet for the rest of the day. I was surprised that northing had happened on the baits where I’d seen the showing fish but they were all quiet and although I watched carefully I didn’t see any more shows in the area. In fact the next day was very similar, I was almost sure that more action would come my way – after all the fish were under so little pressure but they seemed to go quiet for some reason. I sat there and just watched the lake for as long as I could and I did start seeing fish, the problem was that they were all at the far end of the lake and not in my half of the lake at all! Of course it is one of the problems with having a whole lake to yourself, it might seem like a great situation but for the fish, which are used to knowing what lines and pressure are all about, it’s not hard for them to just move to an area where they are not getting bothered – and it looked like they’d done just that! That evening Richard arrived and got himself set up in swim 1 opposite me and I only saw that compounding the problem. 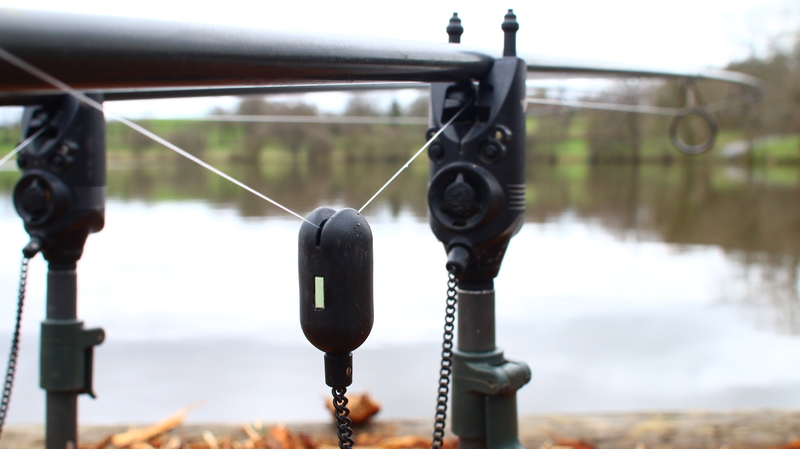 If the fish had moved away from the pressure then another set of lines certainly wasn’t going to help matters. But on the plus-side there were a lot of empty swims and I made my mind up that if that night was all quiet then I’d grab some gear and move to one of the other swims for a day or two. Sure enough the night passed without a bleep and I checked out a few of the other swims. As I stood in swim 10 one crashed out just down to my left, in fact I saw several so my mind was made up. It was hard to leave the comfort of the chalet behind and moving in the pouring rain wasn’t particularly nice but nothing beats the feeling of being on the fish again and once more I felt confident that a fish was on the cards. I basically had the whole half of the lake to go at so being very conscious that I’d already spooked fish from my first swim I decided the best option was to spread the rods as wide as I could. It was much shallower at that end, mainly around 4ft with a fairly soft bottom but presentation stayed exactly the same with 10” of 35lb coated ClingOn hook length and a size 5 Fang Twister. The one feature I did find was an area between what I think were two old beds of lily pads, although there was no sign of the pads that early in the year. But it did drop from 3ft down to 4.5ft before rising again and it looked an obvious spot for sure. I didn’t go with too much in the way of freebies, but about thirty 15mm Scopex Squid boilies and half a kilo of Key Cray pellets around each bait. It’s typical but it was only once I’d done all of the work that the rain started to ease and there was at last a faint glimmer of sun to see the day out. I huddled under the Scope brolly and thought about sorting the tea gear out for a much-needed hot brew. A single bleep made me look up sharply just in time to see the tip pulling down steadily before the alarm let out a scream. It was of course the bait in the deeper hole! There was that great feeling of solid resistance on the other end with the occasional thump down the line as the fish shook its head. I’d only been in the swim around two hours so this was the perfect start! Slowly but surely I just eased the fish towards me. It wasn’t one that did a lot but it just used its weight and there was no way I was going to rush anything. Eventually the back of a large common broke the surface and slowly I eased it over the waiting net. 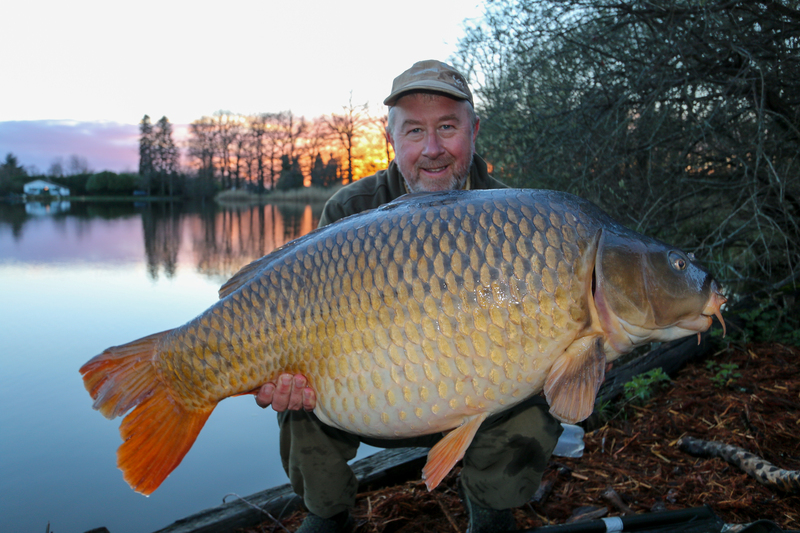 It was a big one and I felt sure that it was a fish known as Frankie – one I’d actually photographed the year before at 55lb! It looked to be around the same size but the needle on the scales wouldn’t move past 51lb 12oz, which was more than good enough for me! If I needed any proof that moving was the right thing to do then this was it! Joan had been watching events unfold from the chalet and came around to do the pics. The fish behaved perfectly, like it knew the procedure well and I was just about to lower the fish back in to the depths when another rod screamed off. We sort of shared that one between us taking it in turns to play the fish and pass the rod over to one another and the end result was a rather short and round mirror of 31lb, which fought nearly as hard on the bank as it did in the water. By the time I’d got everything sorted and the rods back out it was dark and with Joan back at base in the chalet I had one quick cup of tea before flopping back in to the sleeping bag. After spending so much time fishing out of a bivvy it seemed a little strange to be under a brolly again but it felt good too and with the rain once again beating down I drifted off in to a much-needed sleep. I was up once at some stage in the night for a tough-fighting low 30 mirror but otherwise I slept fairly soundly until the alarm once more dragged me back to reality. I peered out from the warmth of my bag, the rain had made way for bright early morning sun with a slight mist rising from the rippled surface. I leapt out and grabbed the rod, squinting in the bright light and watched the line slowly cutting through the surface as the fish kited right. There were no dramas and I was soon looking down on a real chunky 41lb mirror. I put the fish in the sling while I set about sorting the camera gear out – I thought I’d just sort that one out by myself, but before I had the chance I was away again! In fact before I knew it I’d banked three fish in just over an hour. 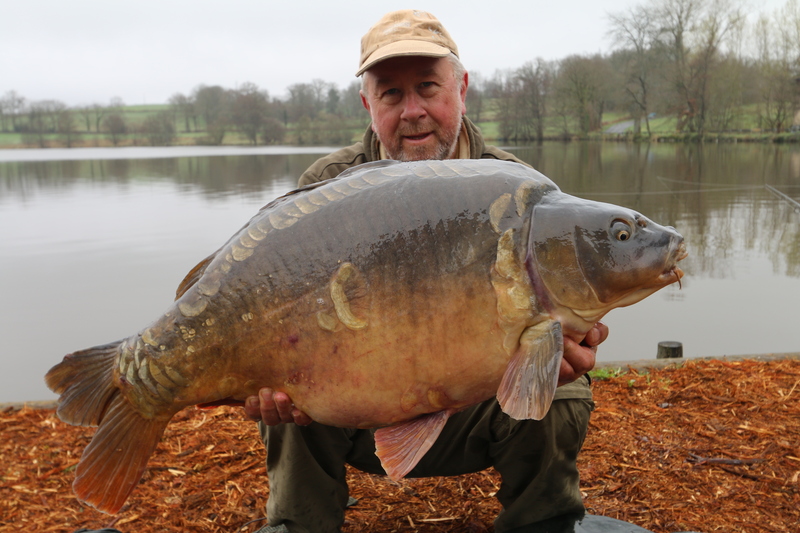 The second one was a long streamlined 40lb 4oz mirror but the last one was one of the jewels of the lake – not quite as big at 35lb but a gorgeous linear mirror with big plated scales right down its flank. It was the smallest of the three that morning but undoubtedly the one I was most pleased to catch. The great thing was that with such a large area of water at my disposal I wasn’t putting the fish under much pressure and they were well spread out. The 40lb 4oz mirror completed the set actually, as it meant that I’d caught fish on all four of my rods, which was the perfect situation as there was a chance at anytime on any rod! During the day there were two more mirrors, one of low 30’s and the other just short of 40lb. It was all quite hectic but all great fun too. The day had been nice and sunny which helped but in the evening the rain returned. I wasn’t too disappointed not to be disturbed through the night but as soon as it was light I was in action again with two more mirrors of 35lb and 38lb 12oz. 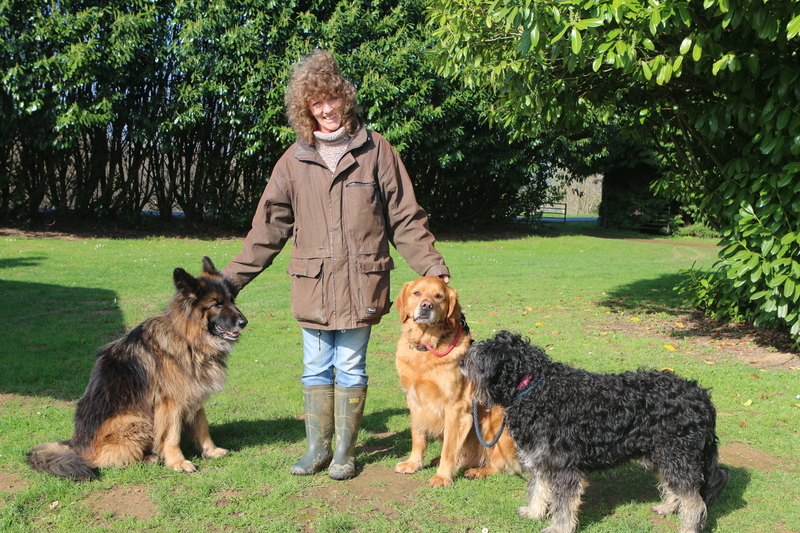 I sat there sheltering from the rain when Tracey arrived with the dogs, Merlin, Frodo and Thorin. She was pleased how things had gone but explained that someone was due in to the swim the following day. I could stay another night and pack up early in the morning but in the conditions I didn’t fancy an early pack up too much and so decided that I’d gather everything up and head for the comfort of the Chalet swim for the last couple of nights. To be fair I was more than happy with what I’d caught, receiving ten runs in two nights. So it wasn’t too hard to wrench myself away and of course there was also a very good chance that some fish would have moved back to that end of the lake having been free of lines for a while. I must admit that it was nice to be back in the warmth of the Chalet and to eat dinner in comfort, along with the cakes that come with it – home-baked muffins with big white chocolate chips inside – oh boy! 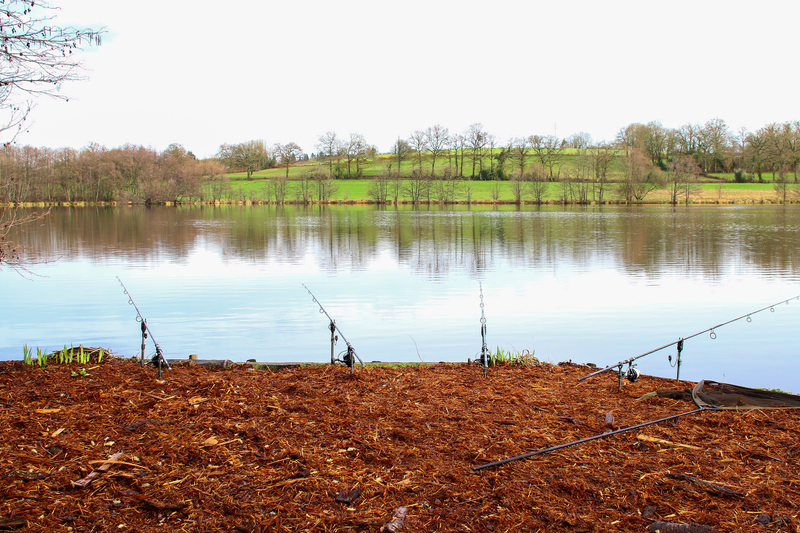 That night I probably didn’t get the rods sorted as well as I could have – well definitely not as I didn’t get a bleep! With Richard across in swim 1 it did change things. At least two of his rods would be coming across very close to where I’d had the action from on the first night and although it was of course very tempting to try and fish the same areas again, I really didn’t think it would do any of us any favours. Instead I studied the swim and tried to work out where the fish might move in to the area and perhaps cover spots where I hadn’t already fished. The wind was pushing nicely down towards me so it looked good and after much deliberation I decided that the most likely-looking area for a fish or two was right up the centre of the lake, well away from where anyone else would be fishing and somewhere I’d not even tried up until that point. It was one of those situations where I had nothing to lose anyway as I’d already caught enough to make the trip a good one, but trying something different can sometimes bring a surprise result. I’d not long pulled the zip up on my sleeping bag when the alarm sounded – it’s amazing how many times that happens! The culprit was a 27lb mirror, the first fish under 30lb and so although I was pleased to see it, I simply slipped it back to its home after weighing. By the next morning three of my four rods had gone off and they were the three main rods up in the central section. One had fallen off after a few seconds and the final fish was a pretty 34lb mirror with nice scattered scales down its flank. It was a nice way to finish up, I started and finished by catching a few fish in the Chalet swim but I loved the hectic action of those two days in swim 10. The old saying is that time flies when you’re enjoying yourself and it seemed like no sooner was I getting the gear out of the van than I was putting it all away again! But my saying is that you can’t stop time marching on, all you can do is fill as much of it with good stuff as possible and at Brigueuil we’d certainly done that. I’m always a little bit wary of publicizing venues as I might struggle to get back on there myself in the future but having such a great venue nearly all to myself for a week is almost crazy. I know Paul and Carmen at Armfield Angling tell me that there are places up for grabs so you could do a lot worse than contact them. For the second year running we had a great week at Brigueuil and this time around I certainly got amongst the fish and something tells me that we’ll be going back before too long for some more carp action and cakes. You certainly need a bit of luck at this time of year to get everything right but this time lady luck was on my side – happy days! This entry was posted in Carp, Travel and tagged Steve Briggs. Bookmark the permalink.